It’s never too early to get a head start on your Christmas shopping. With fabulous offers now available, it’s the perfect time to take advantage of a great deal and some expert advice. Over the next few weeks we’ll be bringing out a series of Christmas Gift Guides, targeted at helping you source the perfect present for every golfer in your life. This week we’re taking a look at the latest hardware options alongside the best golf bags and the big-ticket item of the week - electric trolleys. Ensuring you make the right purchase for him this Christmas. With all the options available to the market today, selecting the right golf clubs can be a difficult and daunting task, especially if you don’t play yourself. Below are our hot club picks for 2013. Guaranteed to put a smile on your golfer’s face this Christmas! Art meets science with the Nike Method Concept Red Putter. With its iconic shape and proven performance record it’s a steal at £89.95. For a slightly pricier option, treat your golfer to the superior putter technology of the Nike Method Midnight 007 Putter. Developed on Tour its Polymetal Groove Technology is key for consistency on the greens. On sale now for £119.95. The Wilson Staff Tw9 Tour Milled Satin Wedge as used on Tour by Padraig Harrington is a fantastic versatile golf club that will definitely help improve your short game and at the moment we are offering a saving of £10 if you buy two. 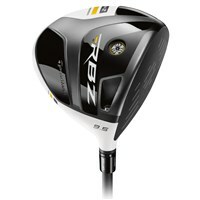 One of this season's most popular driver is the TaylorMade RBZ Stage 2 Driver, suitable for golfer's of all abilities, we currently have a great offer on this driver. The price is £175 and if that was not cheap enough we are giving away TaylorMade golf balls worth £20 free of charge. Great, sleek and performance proven irons can make the ultimate gift. The Wilson Staff Ci11 Irons are all those things and more, for £279.00. For the golf gift sure to get great use and exposure we turn our attention to where your golfer keeps his beloved equipment. Golf bags come in a variety of designs and options but here are a few of our favourites. 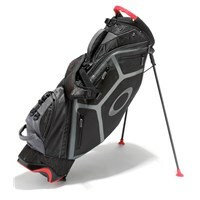 The Oakley Golf Carry Stand Bag is an impressive choice. Offering a seven-way divider system plus a Red Code padded shoulder strap. Making it the perfect lightweight yet durable purchase at £69.95. For a more premium selection with a slightly higher price tag try the TaylorMade R1 TMX Stand Bag. High quality craftsmanship plus a vibrant colour scheme make this the ultimate stand bag. On sale now for £119.95. Looking for the TaylorMade design with a cart bag finish? The TaylorMade TMX T2 R1 Cart Bag is everything you want in a bag and more. We love the sale price, £149.95! What could be better than buying a great present and getting a free gift? The Ogio Sultan Cart Bag offers plenty of room and functional design in a sleek and modern package. A free golf ball cleaner with bag clip makes it the ultimate economical Christmas buy at £89.95. For the golfer who has just about everything but is looking to make his time on the course a bit more leisurely why not treat him to the ultimate luxury golf item - the trolley. Below are our top picks to make his Christmas. Comfort and ease meets standout style with the Stewart Golf Z1 Push Trolley. Easy to fold and super light weight it’s a solid choice at £124.95. The next price range up takes us to the Motocaddy S1 Digital Electric Trolley. With prices starting from £299.00 this trolley comes with reliability and reassurance that this will take shots of your handicap. For the ultimate electric trolley experience there’s the Motocaddy M1 Pro Lithium Electric Trolley. Located at the top end of the price spectrum at £549 - £599 it is the smallest electric golf trolley Motocaddy has ever produced. 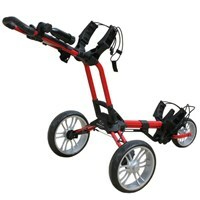 Lightweight and easy to fold it promises to make life on the course enjoyable and simple.